How many of us after a rough week at work, being told we need to work smarter, harder, faster, comes saturday it becomes filled with catching up on the laundry, yard work, shopping, planning and going to family events, the kid’s soccer, football, baseball or whatever they may be involved in. You get up and get yourself and family ready to go to church and been hit with a message of how we need to do more, give more, sacrifice more, and be happy doing it? As I was studying the word of God this thought came to me as I was thinking on bringing a positive message to our congregation, Hebrews 10:24-25 says, “And let us consider one another to provoke unto love and to good works: Not forsaking the assembling of ourselves together, as the manner of some is; but exhorting one another: and so much the more, as ye see the day approaching.” I thought is this what the church should be doing? Now I’m not opposed to challenging, giving correction, teaching, because Apostle Paul writing to Timothy tells him in 2 Timothy 3:16-17, “All scripture is given by inspiration of God, and is profitable for doctrine, for reproof, for correction, for instruction in righteousness: That the man of God may be perfect, thoroughly furnished unto all good works.” But if that’s all that’s being preached it’s no wonder people are leaving our churches and not coming back. Living in this world is no picnic, it’s filled with suffering, hatred, and disappointments and the last thing we need is to come and get beat up by some self-righteous preacher! I began to notice in Paul’s epistles that he was began and ended with some very positive and encouraging words to those he is addressing, for example Romans 1:7-9, “To all that be in Rome, beloved of God, called to be saints: Grace to you and peace from God our Father, and the Lord Jesus Christ. First, I thank my God through Jesus Christ for you all, that your faith is spoken of throughout the whole world. For God is my witness, whom I serve with my spirit in the gospel of his Son, that without ceasing I make mention of you always in my prayers; “ Have you ever been addressed in this manner? probably not. Now I’m not saying we should only have fluff messages with no mention of sin or being challenged to become more like Christ, we definitely need to hear that, but we also need to be edified, lifted up, and reassured that we are loved by a Savior who suffered, went to the cross, dies and rose again for us! Recently my wife and I had the opportunity to go to a “Pastors Conference” held at the Creation Museum in Kentucky and I was reassured of God’s love for me. For many years my wife and I have gone on vacation to Myrtle Beach, we love the ocean, the weather (especially in late winter here), enjoy golfing, and love the local cuisine. Well a couple of years ago I found a place that served the best French onion soup I ever had, but when we returned two years later found it to be closed which was a big disappointment for me. Well one evening at the conference we decided to go out for ice cream and as I was entering the building I looked across the parking lot and noticed a sign that I believed was the same one that we had dined at in Myrtle Beach, I thought no way, but after looking at the menu on their website and going into the restaurant after we had our ice cream of course, I was sure it was this same restaurant. The next day on a break from the conference my wife and I went there for lunch and to my great enjoyment it was indeed the same place (of course we had supper there as well). Now you can believe in coincidence if you want to, but I believe Jesus Christ in His infinite love for me put that restaurant there just for me, what an awesome God we serve! If we have a God that loves us and will do anything for us, should we not have the same for Him and for others of like precious faith? 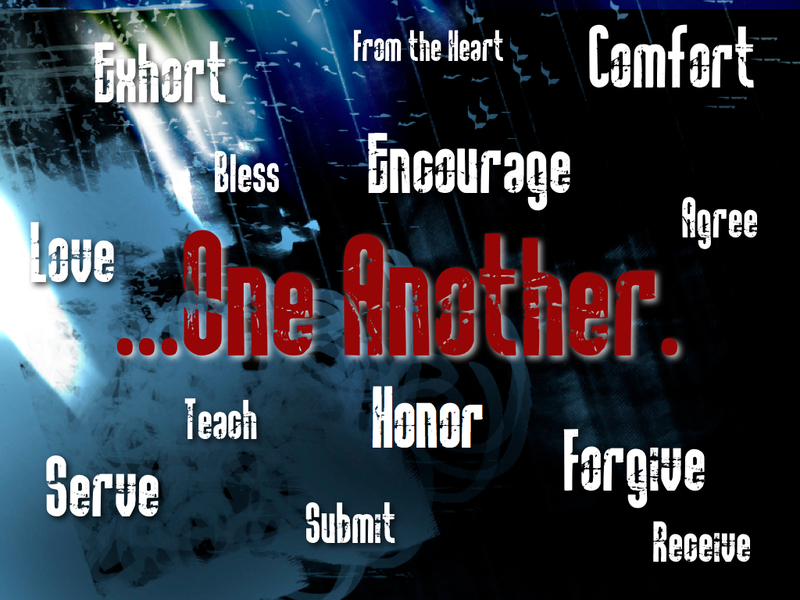 As God exhorts us let us in the same be ready to exhort one another!